By Carl Slaughter: Every semester for most of the last 15 years, I have assigned my college students in China to make a short speech describing a movie. In school after school, class after class, enormous numbers of students have identified Titanic, Shawshank Redemption, The Pursuit of Happiness, The Legend of 1900, and Leon the Professional as their favorite movies. But I get a good mix of current movies too. 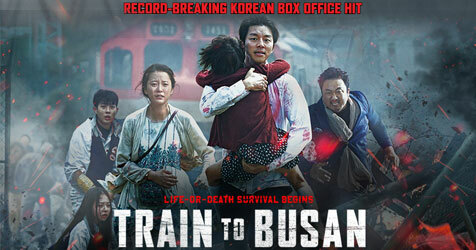 This semester, three students talked about the Korean zombie film Train to Busan. One of them said, “What we learn from this movie is that the human condition is worse than the zombie condition.” My interest was sufficiently piqued. Having no taste for zombie munching scenes and not wanting to hunt down English subtitles, I sought Wikipedia for answers. Without spoilers, some of these people sacrifice themselves for others and some of them sacrifice others for themselves. Reviewers pointed to the subtle social politics and class warfare symbolized by these decisions. One Amazon reviewer described it as Snowpiercer meets 28 Days Later. Train to Busan’s Rotten Tomatoes score is 96%. I’ve taught English in Korea twice. One of the things about Korean society that made a very good impression on me is the exceptionally low crime rate. Not surprisingly, Korea is a not gun country. So if you watch Train to Busan, look for creative ways to fight zombies. This entry was posted in Reference Director! and tagged Carl Slaughter by Mike Glyer. Bookmark the permalink. I’ve heard a lot of good about that film. It is such a freaking good film, and I’m generally not a zombie fan. See it before the inevitable crappy American remake.